Were it not for a singer’s encouragement, while sitting off to the side where Martin Luther King, Jr. was delivering his speech on the steps of the Lincoln Memorial at the March on Washington for Jobs and Freedom in 1963 (MOW), we would never have heard one of the most famous speeches in history. You see “I Have a Dream” did not even appear in the written speech — it was improvised. And it wasn’t just any singer who inspired King — it was the legendary gospel singer, Mahalia Jackson, who a few minutes earlier had sung two spirituals, “How I Got Over” and “I Been ‘Buked and I Been Scorned,” that electrified the crowds. Jackson (1911-1972) is considered one of the most influential gospel singers in the world; she explained: “I sing God’s music because it makes me feel free. It gives me hope.” But before we get to that pivotal moment at the MOW, let’s turn back the clock to the night before King delivered the speech. So the next time you hear the “I Have a Dream” speech, you can thank Mahalia Jackson for her remark that altered the course of the speech — and of history. And may her act inspire you: when you see that someone needs some encouragement, don’t be afraid to speak out. 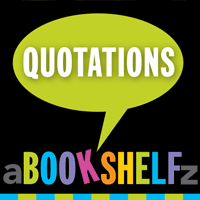 Read related posts: Quotes Mistakenly Attributed to Martin Luther King, Jr.